With Sony confirming last year that they won’t be attending E3 2019, some fans might be wondering how the company will announce games, and hype up releases. Well, as it turns out, Sony is following the Nintendo Direct approach! 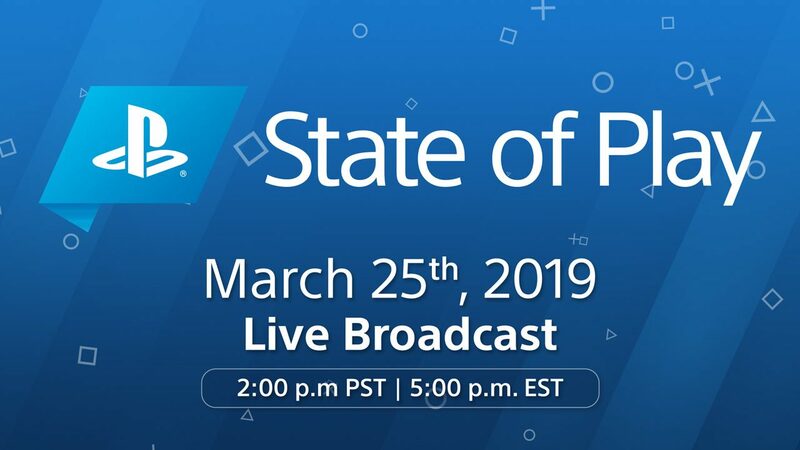 The PlayStation State of Play will have its first episode this coming Monday, March 25 at 2 p.m. PDT. Naturally, it’ll be livestreamed over on Twitch, YouTube, Twitter or Facebook, and will be available as a VOD (video on demand) edition once the episode is over. According to Sony, this is just the beginning, and the State of Play will return throughout the year with more updates and announcements. Well, it seems Sony will be announcing games bit by bit instead of one massive info drop. Who knows though? This could be better since we’ll be able to process the info after each episode. What do you think? Do you prefer this or do you want an E3 press conference where all the announcements happen in one instance?